A winery website with new, edgy design. Featuring a wine blog, eCommerce and an event calendar. 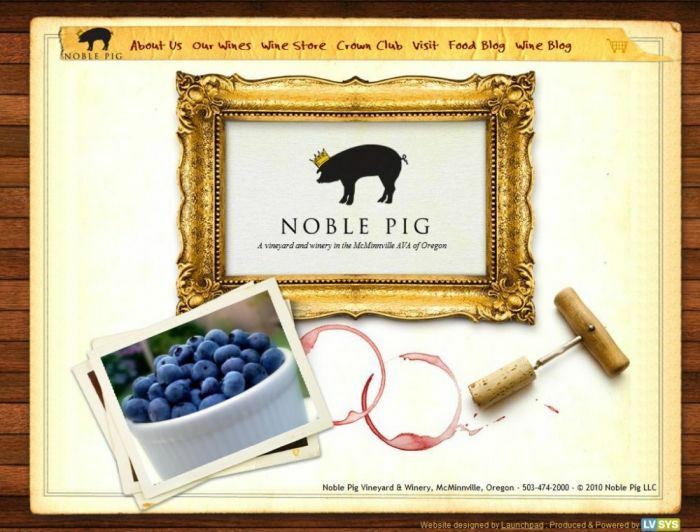 This website's goal is to supplement the noblepig.com phenomenon. Integrates with Facebook and Twitter. Pushes content to sister website.